In today’s world, there are plenty of gadgets that have performed their bests in the technological circle. One of them is the iPods. 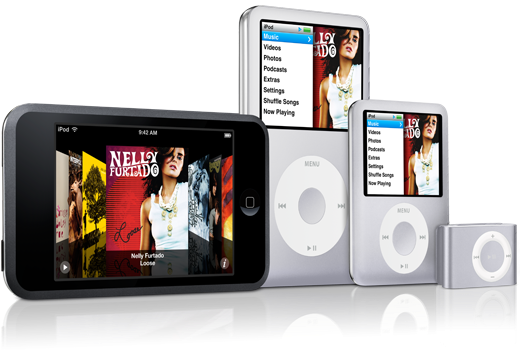 The iPods are the gadgets that have been recently updated by the Apple Company. They have made this innovation a success for they have also seen the benefit of this gadget. This one is portable and can carry as much data as possible. As one may have observed it, there are already plenty of people who have been hooked with the iPods. They love to collect models and even have their own kinds and brands. For those who want to have their own one, they also select the best for themselves. They use those models that would help them attain their needs and desires in the usage of the iPods. As time goes by; there are also a lot of new inventions of the iPods. There are also some other people who have created iPods into something very rich with quality performance. Some of the models that are now out in the market are those that are classified into five big groups. These are the classic, the mini, the nano, the shuffle and the touch. All the said big groups have with them the different classifications of the iPods. For the classic, these are the iPods that have been released first. As one may have seen them, they are those that are having the older features. 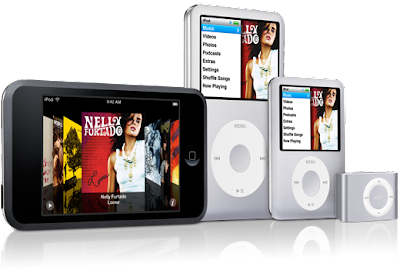 Some examples of the classic are the following: the first was with the mechanical scroll wheel; then following that is the iPods with a touch-sensitive wheel, the third one is the iPods which is complete with the all touch interface. It has also the dock connector, and has a slimmer casing. There are still some other features that have come after the said iPods. After the classic comes the mini. The mini like its name is small. They are available in five colors and this model has been the ones which introduced the “click wheel”. The second one of the mini model is the one with the brighter color variants with a much longer battery life. After the mini is the Nano. The Nano has also a lot of models involved. The first model of the Nano is the one that is available in black or white. This also uses the flash memory. The second one is with an anodized aluminum casing and is available in six colors. The third model is the one with the chrome back. This has a new interface and video capability. This has a smaller click wheel. After these models, there are already new releases. After the Nano is the Shuffle. The first one has a new entry-level model. This uses a flash memory and it has no skin. The second model of the flash has a smaller clip design with an anodized casing. The fifth and the latest models are the ones that belong in the Touch models. These models are all touch screens. There is no need to press a key. All one needs to do is to point out on the screen.